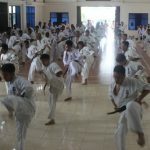 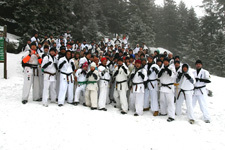 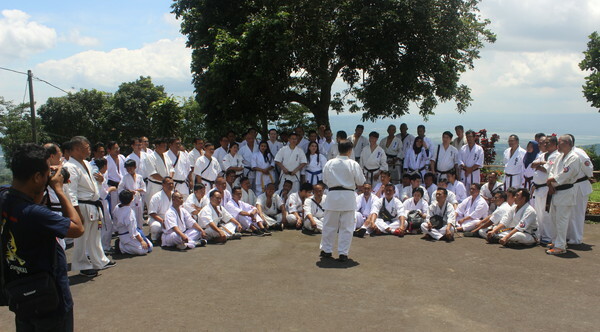 On January 25-27, the Karate Seminar & Dan Grading Examination was held at Bandungan, Ambarawa, with 120 participants. 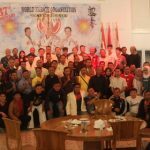 Most of the Indonesian Branch Chiefs also attended the event. 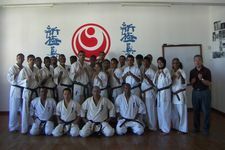 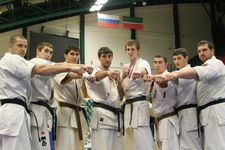 The training started in the morning of January 26 and all test materials were repeated here. 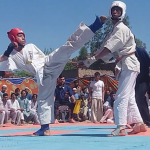 Despite the winter season which rains everyday with strong winds, everyone was blessed with the very bright sunshine on the day. 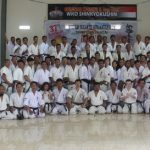 After the morning session from 8:00 a.m. to 12:00 p.m., a meeting of all Branch Chiefs and Instructors, a total of 33, was held from 1:00 p.m. to 3:00 p.m. and all the existing problems were discussed together. 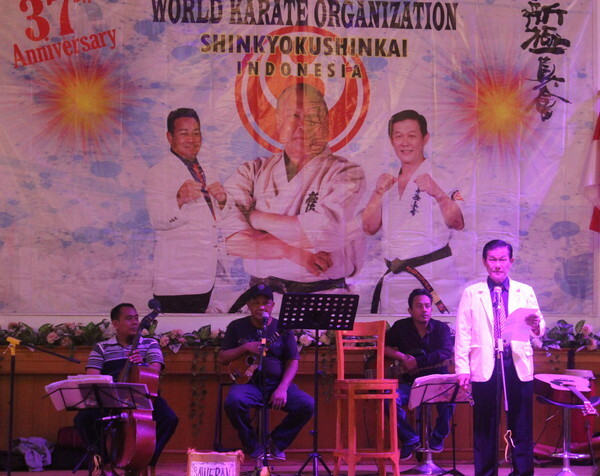 In the night, the 37th anniversary of WKO Shinkyokushinkai Indonesia was celebrated. 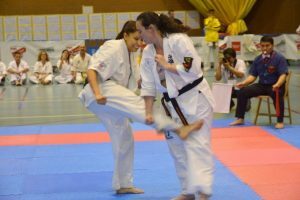 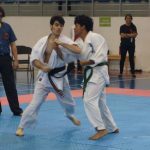 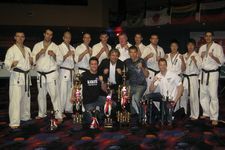 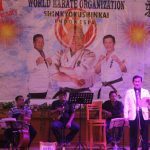 Since being appointed as Branch Chief on October 24, 1981, Shihan J.B. Sujoto has made many adjustments to the name of the organization, and the current name WKO Shinkyokushinkai Indonesia has been used since 2008. 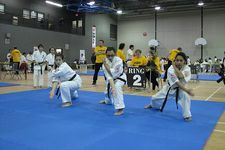 The grading examination was held in the morning of January 27, which lasted till 12:00 p.m. 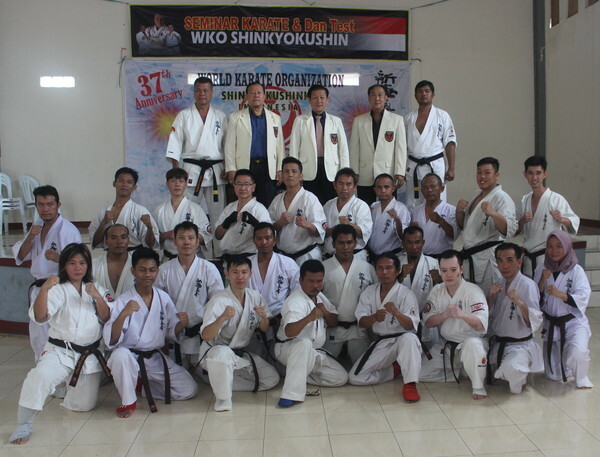 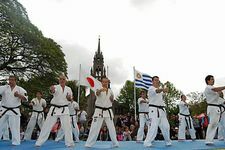 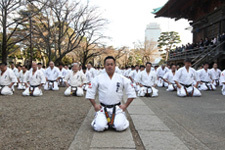 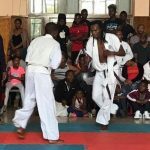 It was led by Shihan J.B. Sujoto, Shihan Sukarno Djunaedi, Shihan Tejo Lesmono and was assisted by Masguffron Heru Sensei, Ruddy Haryanto Sensei, and Mario Christi Sensei. 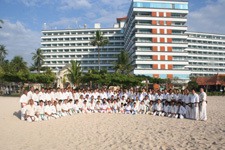 All the schedules were finished smoothly and participants went home with much sense of fulfillment.